When Anna Burns won the 2018 Man Booker Prize on Tuesday (London time) there were gasps from the audience in London's Guildhall. The bookies' early favourite was Richard Powers and his beautiful multi-layered novel about trees and people, The Overstory; the late money had all gone in the direction of Daisy Johnson's superb rewriting of the Oedipus story, Everything Under. No one had thought Burns' Milkman stood a chance because her novel was set in Belfast, and Belfast, for a lot of literary London, is that awful place over the water where all the terrorists and loudmouths come from. Milkman is a novel set in the West Belfast of the edgy 1990s, but the city, like the lead protagonist, is never named. Burns is not particularly interested in the tiresome tribal struggles that characterised Troubles-era Northern Ireland. For her, Milkman is an opportunity to ask questions about puberty, identity, self-knowledge and the meaning of life for a young woman on the cusp of adulthood. The book begins with the appearance of the mysterious "Milkman" in the narrator's life as she is walking home from work reading Walter Scott's Ivanhoe. He offers her a "wee lift" in his sinister "shapeshifting" van that she declines. Milkman is a creepy 41-year-old married man who has a reputation as a groomer of young girls and as a player in the paramilitaries. Successive "accidental" encounters with the Milkman make the narrator (known in the book as "middle sister") a focus of attention, and this in a town where gossip of that sort can get you shot in the kneecaps or worse. So far so Belfast, but as critic Eoin McNamee has pointed out, Milkman's genius lies in its ability to create its own context. Burns has created both a story of Belfast and its particular sins but also a story of anywhere. This could be a book set in a Graham Greene or John le Carre Iron Curtain city filled with spies and informers and there are deliberate echoes of China Mieville's The City and the City, in which identity, names and seeing the Other are contentious acts. Intelligence pulses throughout the book. Milkman is a confident, funny, ambitious novel that mirrors Belfast's new-found confidence as a literary city. Only 30 years ago, Belfast was a desolate war zone that you couldn't enter without going through a "search hut". The IRA's bombing campaign during the Troubles had reduced parts of the city to rubble. 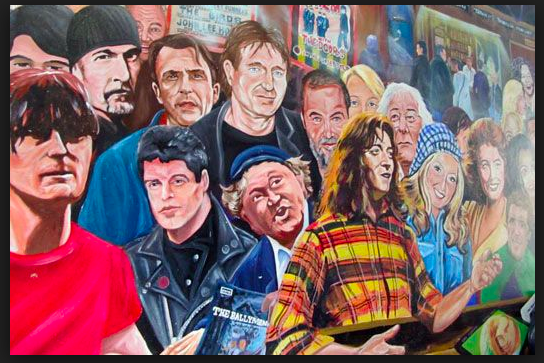 In the 1970s, Belfast had a thriving poetry scene, but after his local pub was bombed Seamus Heaney moved to Dublin and the other literary stars such as Paul Muldoon and Tom Paulin also began looking for the exits. 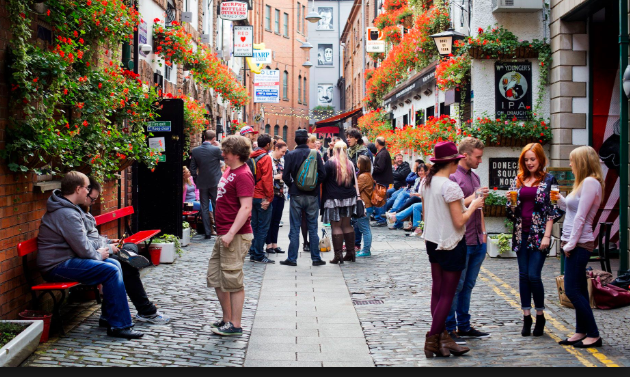 Belfast became first a cultural backwater, and then a cultural desert. A moribund political scene, very poor funding for the arts, and what was essentially a low-level civil war all had an impact. The poets had largely fled, the playwrights were going too, and a generation of young intellectuals found themselves marginalised or in exile. Many Belfast authors were told to their faces that if they wanted their books to succeed, they should switch the story to a Scottish or northern English city. But the Good Friday peace deal of 1998 changed all that. Slowly at first the city began to revive and grow in self-assurance. Pubs and clubs started reopening. There were new shopping malls, new cinemas, new hotels, and new plays, poems and novels. Game of Thrones came and transformed the Titanic Quarter. Belfast acquired a Michelin-starred restaurant, then another, and another. In the wake of Thrones came The Fall and Line of Duty. The dour city of empire that was turned into a dreary provincial town after the partition of Ireland and a war zone after 1968 had at last become normal, perhaps even cool. Novelists such as Glenn Patterson, Sharon Owens, Ian Samson, David Park and Robert McLiam Wilson charted this new territory. Ciaran Carson was Belfast's lyrical conscience and Sinead Morrissey was found to be an able inheritor of Heaney's legacy and then came the crime writers: Stuart Neville, Colin Bateman, Claire McGowan, Anthony Quinn, Gerard Brennan, Brian McGilloway and Steve Cavanagh quickly acquired an international reputation. The Troubles with its macho posturing and institutionalised sexism was a particularly punishing environment for female artists. Burns is part of a movement of new female Belfast writers, along with Lucy Caldwell, Roisín O'Donnell, Jan Carson and others who are changing the game. In the 20th anniversary year of the Good Friday agreement and with Brexit threatening to send Northern Ireland spiralling back down into the abyss, the Man Booker judges could not have sent a clearer message with this award to Burns and her wonderful novel: Belfast is back. It is a proud cultural hub full of young people bursting with talent and ideas. Writers can show us new ways of looking at and interrogating the past but they show the lessons to be learnt, too. Let's keep the nightmare time in the realm of fiction. Let's never return to the bad old days. Adrian McKinty's Sean Duffy novels are set in Belfast during the Troubles.